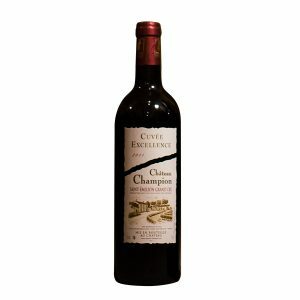 The Cuvée Excellence of Château Champion comes from a parcel of land with an average age of 80 years. Mainly composed of Merlot (98%), this is a complex wine, rich in tannins and colours. It is aged in new French oak barrels.